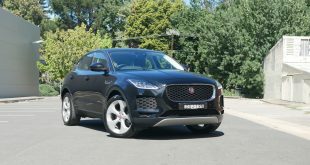 When the Jaguar F-Pace first launched in 2016, it was the British marque’s first entrant to the SUV market, and while initially polarising as the notion of a Jaguar SUV just seemed wrong, people’s presumptions were quickly proven wrong as it turned out to be every bit a proper Jag and a true sales hit for the brand since it first launched. 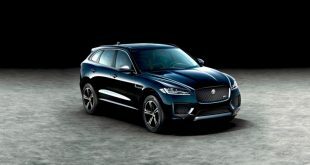 From our past encounters with the biggest cat in the pack, we’ve been consistently impressed by its impressive performance and driving dynamics, and of course its gorgeous styling as the F-Pace still remains one of the most attractive SUVs on the market, if not the most attractive – a testament to the skills of Ian Callum, Jaguar’s Director of Design. With a few minor tweaks and updates having been introduced for the 2019 model year, we were excited to get behind the wheel of the F-Pace once again, so we grabbed the keys to the 25d R-Sport variant – the middling diesel option – and set out to see what’s what. 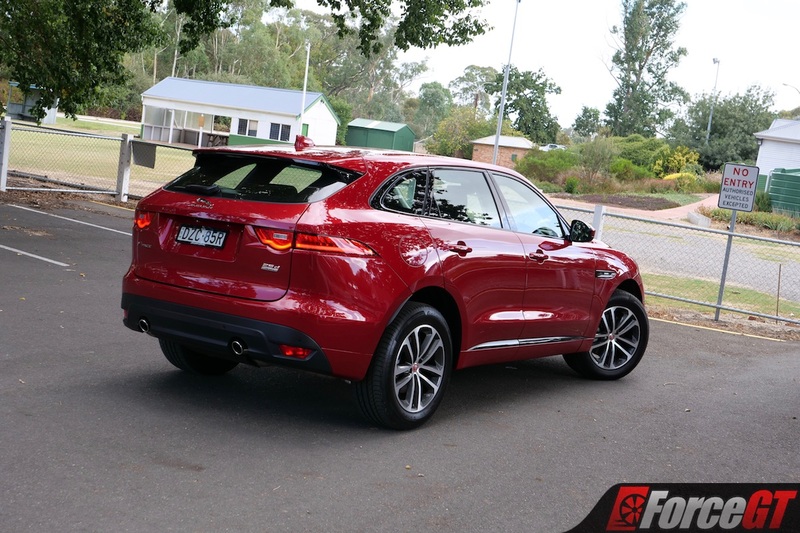 The 2019 updates for the F-Pace have largely focused on adding a wider range of comfort and technology-related features, some of – like the 10.2-inch InControl Touch Pro infotainment screen – are things that were previously optional but have now been made standard. 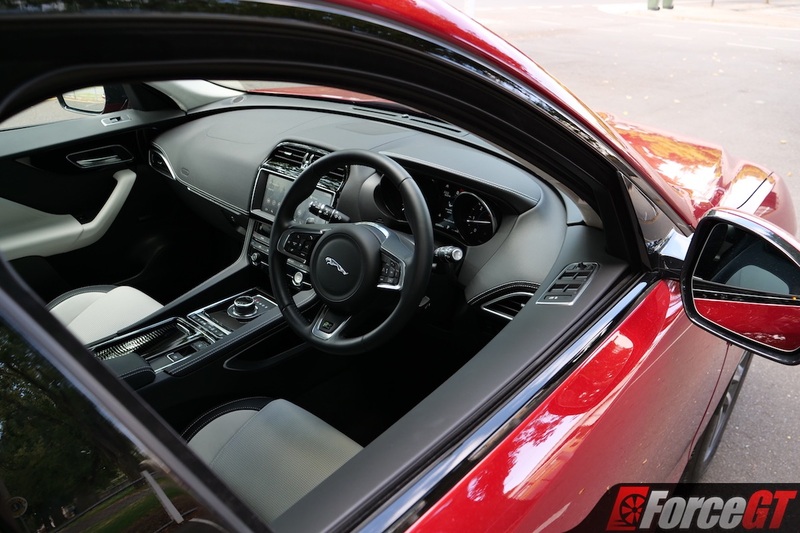 However, the interior has been dressed-up with a few more premium-feeling items and materials including a frameless rear-view mirror, illuminated metal treadplates, premium carpet floor mats, chrome seat switches, and optional carbon-fibre door trim. 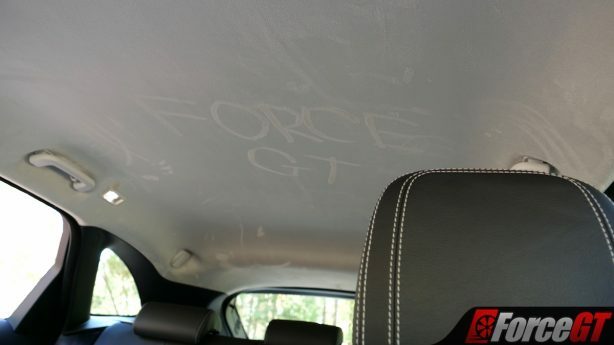 A suede-cloth headliner is also now fitted, which will keep rear seat occupants entertained as it’s rather easy to write and draw on it. We can’t help but feel it’ll be a nightmare to keep clean, however, although Jaguar does provide a bottle of upholstery cleaner in the glovebox as a token gesture. Furthermore on the interior front, 14-way power-adjustable slimline bucket seats with adjustable side bolsters are optionally available for the first-row. 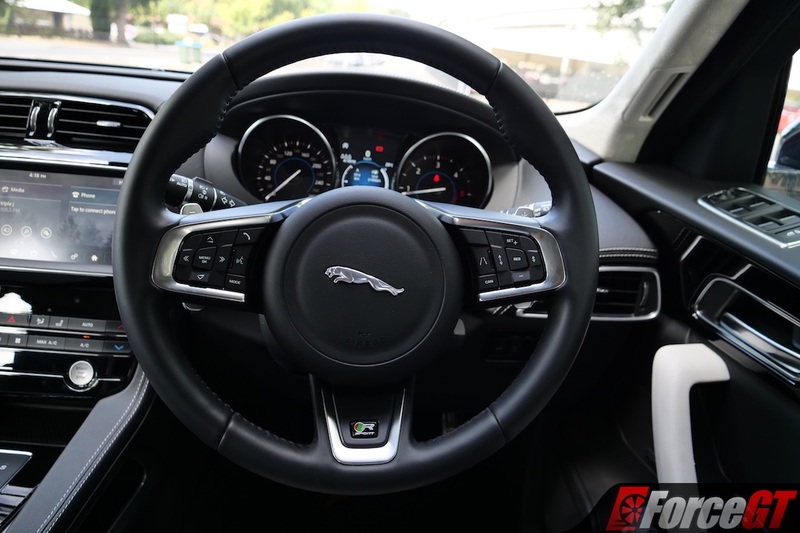 As for new tech, an optionally-available upgraded adaptive cruise control system with steering assist, lane centring technology, and a stop&go function is the big ticket item in regards to driver assistance technology, although the F-Pace’s AEB system has also been enabled with “enhanced forward collision detection” at speeds between 10-160km/h. 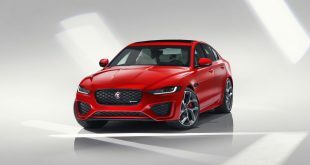 For petrol models, but not our diesel-fuelled tester or the V8-powered SVR, a larger 82-litre fuel tank has been fitted to allow for greater range, replacing the old 63-litre unit. 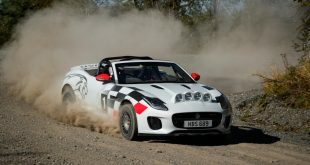 Additionally, two new special edition models – the 300 Sport and Chequered Flag – have been added to the range for the 2019 model year, the latter of which is available with the 25d drivetrain fitted to the model tested here. 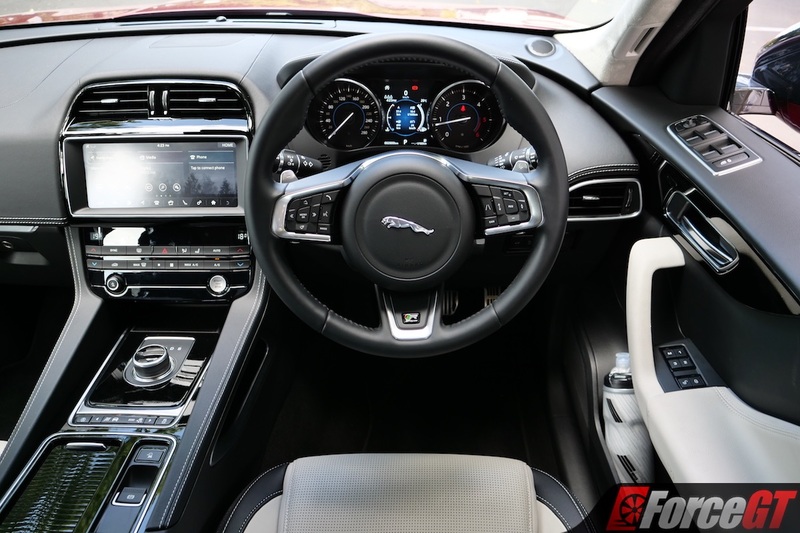 While there’s no doubt that the gorgeous exterior of the F-Pace is one of the best in class, the interior is stylish enough to back it up. 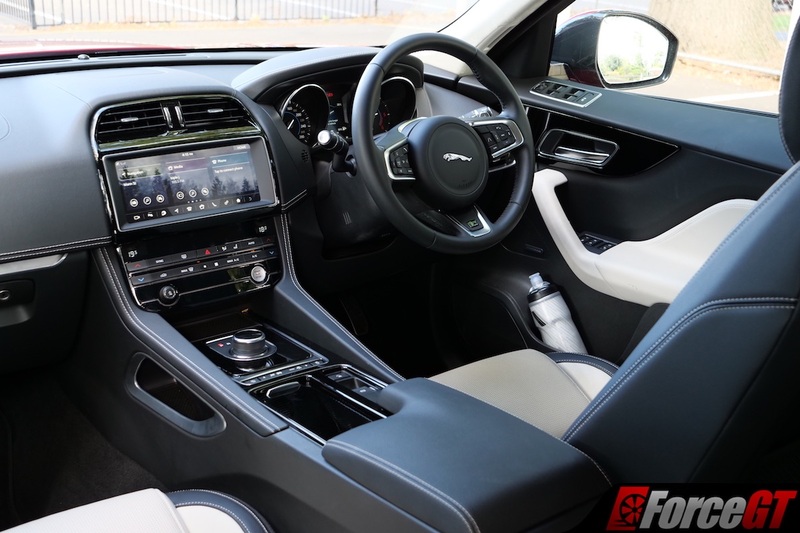 With the additional refinements for 2019 and the rather stunning – if easy to mark – white leather upholstery of our tester helps to impress. But with that said, the quality of the interior materials is a bit of a mixed bag. 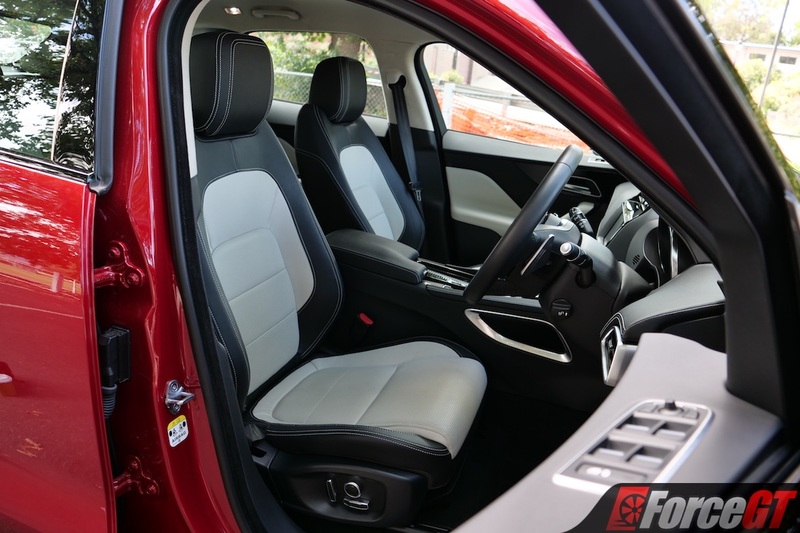 While the leather on the seats and armrests is some of the best in the biz, and the suede-cloth headliner is a nice touch as well, the plastics used on the centre console, dashboard, and door cards felt particularly harsh and scratchy. The centre console was something we found to be a particular sore point for taller drivers – quite literally, in fact – as the unforgiving plastics on the side of it combined with its tall design to make life rather uncomfortable for our left knees. 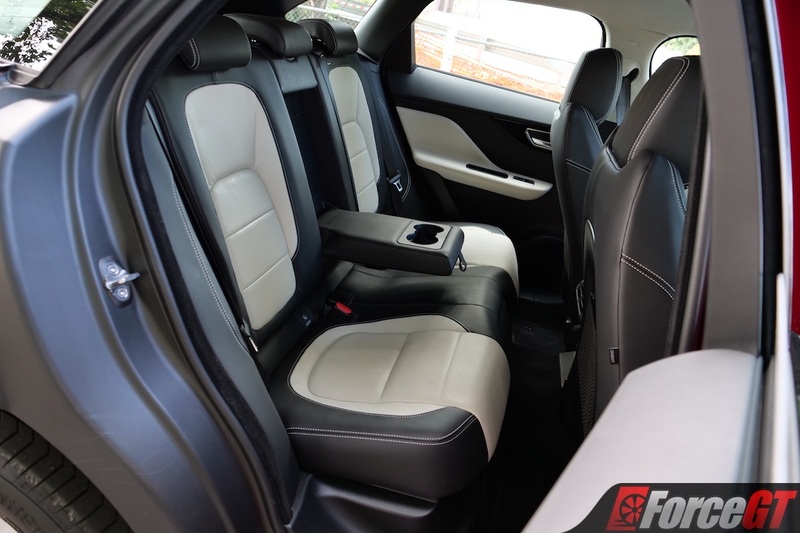 The addition of some soft padding – like Mitsubishi recently added to the sides of the centre console in its Pajero Sport – would go a great length to solving this issue. 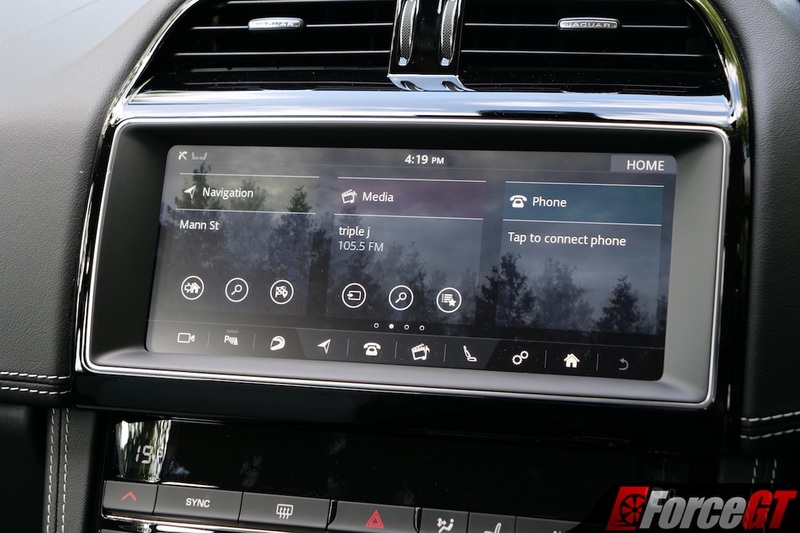 On a positive note, however, making the larger infotainment screen standard was a wise move on Jaguar’s behalf, as the big widescreen display looks rather classy and the redesigned home screen looks pretty slick, too. However, we should mention that the Bluetooth didn’t seem to be working properly on our tester, and we couldn’t get our phone to pair up to it successfully for either music or phone-call duties. 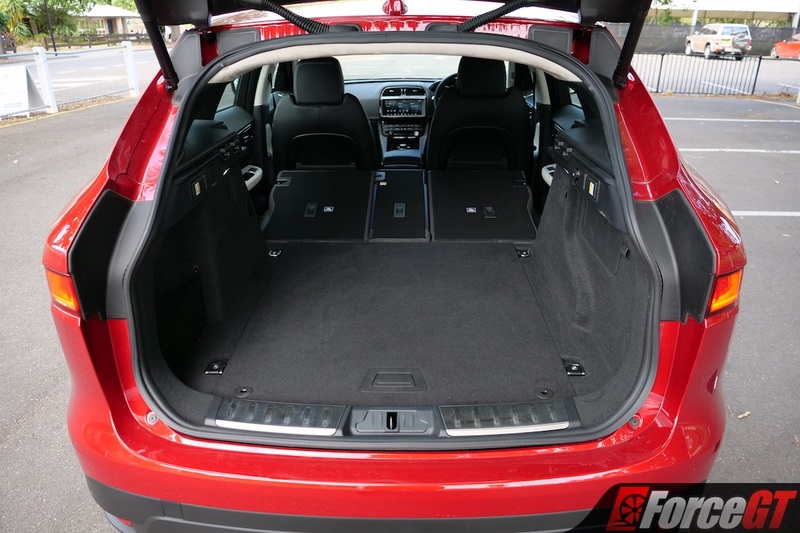 It’s incredibly practical as well, with a well-sized boot, flat-folding rear seats, some storage trays on the side of the centre console for smaller items, and big door pockets. And its not only spacious for cargo but for passengers as well, with plenty of headroom and legroom for both first and second row occupants, and comfortable and supportive seating all around. What’s standard and what’s optional? While we’re used to many Jaguar Land Rover press cars coming to us with long and pricey lists of optional extras that have been fitted, some control was clearly exercised with our tester that only came bearing a few little additions, half of which were cosmetic. Looking over the spec sheet for ours, we were shocked by the pricing for some of these extras. 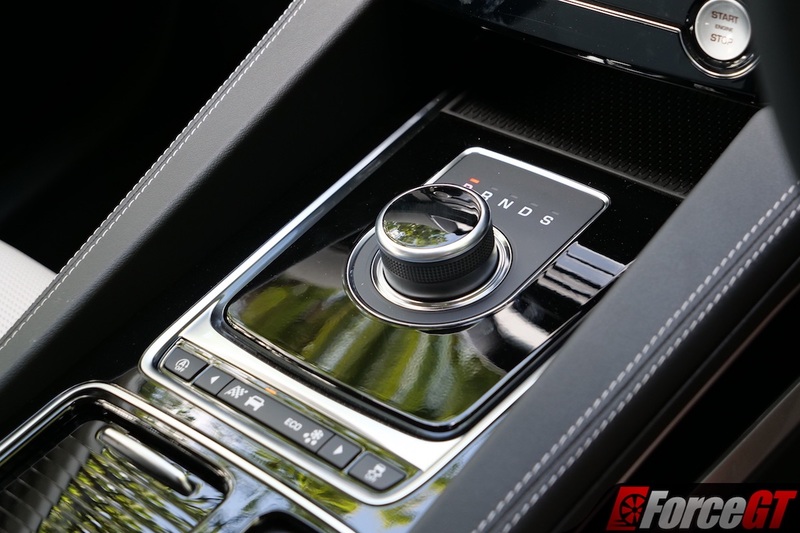 Most egregious of all was that keyless entry – a feature that’s standard on many, many less-expensive cars – was a whopping $1,890, and that’s for something that we suspect most owners won’t want to live without. 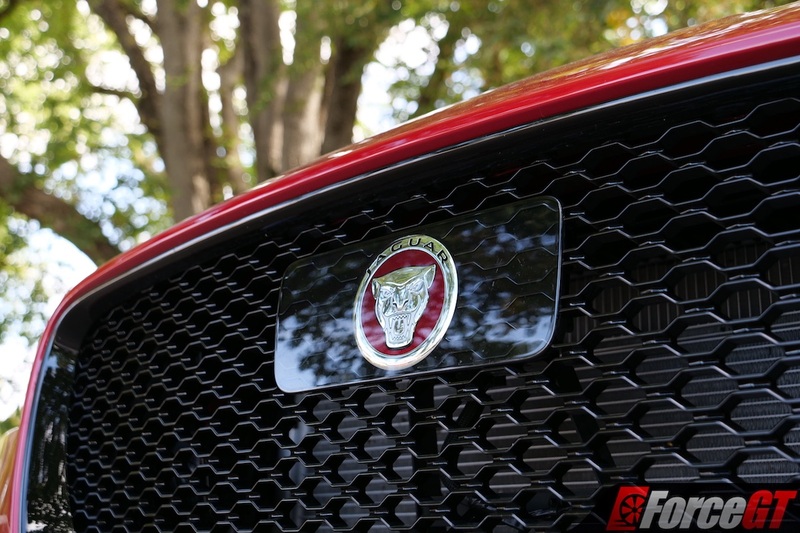 The black exterior trim highlights around the grille and windows were also something we found to be overpriced at $1,430, and the Firenze Red metallic paint, while a nice touch, is another $1,890. 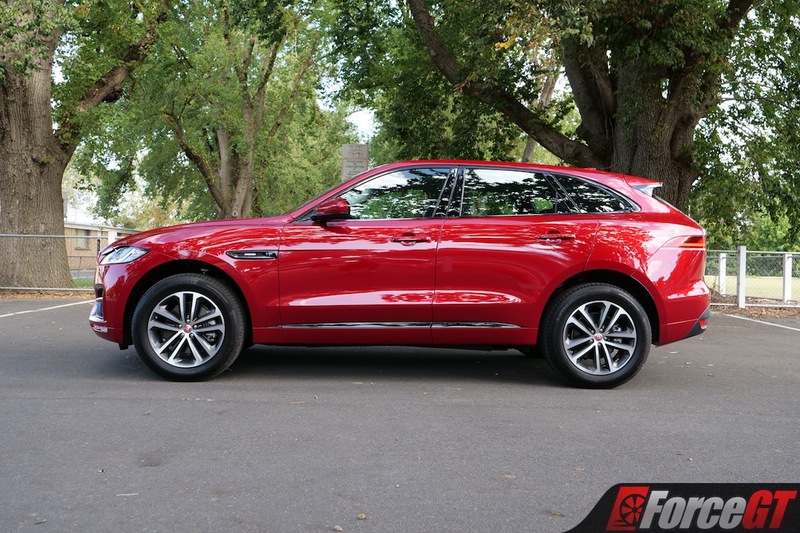 Furthermore, we feel that the features included in the $1,740 Drive Pack – those being Blind Spot Assist, Adaptive Cruise Control with Lane Centring, and High-Speed Emergency Braking – really should be made standard. 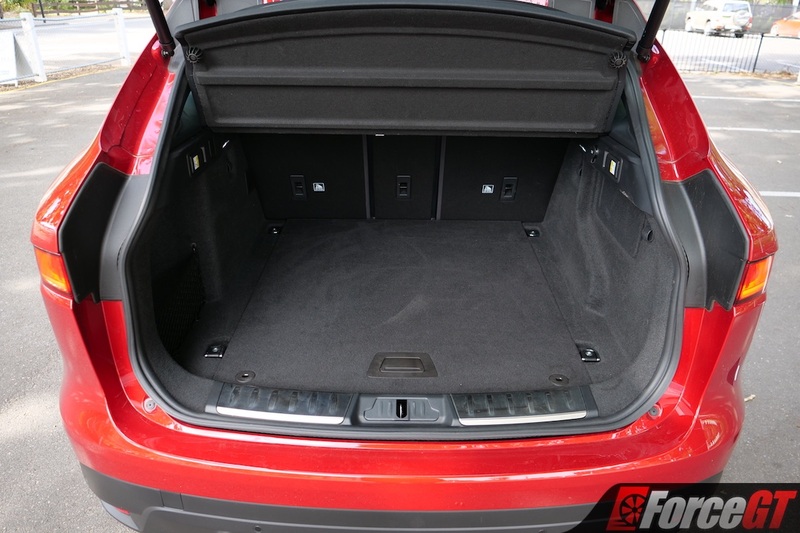 And the same goes for the two cheapest options on our list – heated front seats and latches to drop the rear seats from the boot – which it just seems excessive to charge more for on a car nearing six-figure territory before any options have been applied. 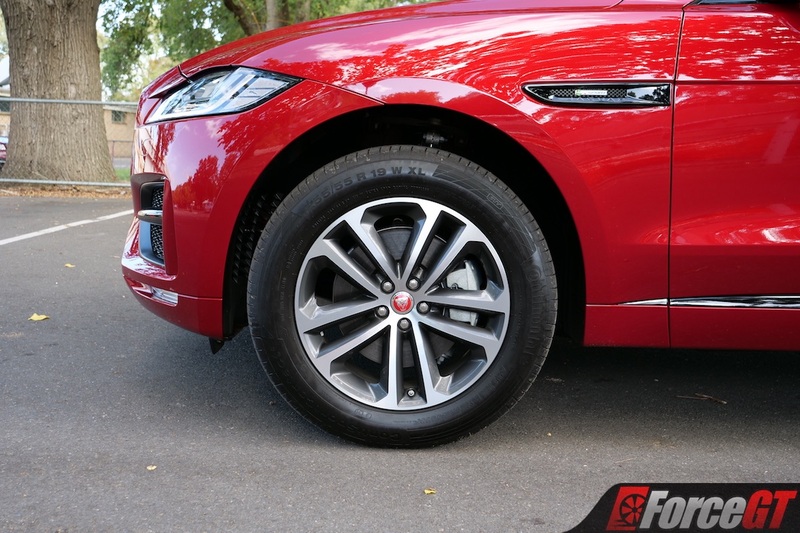 With that said, it’s worth commending Jaguar for adding some features as standard – as mentioned in the breakdown of 2019 updates – but we can’t help but scratch our heads at the price asked for some extras. 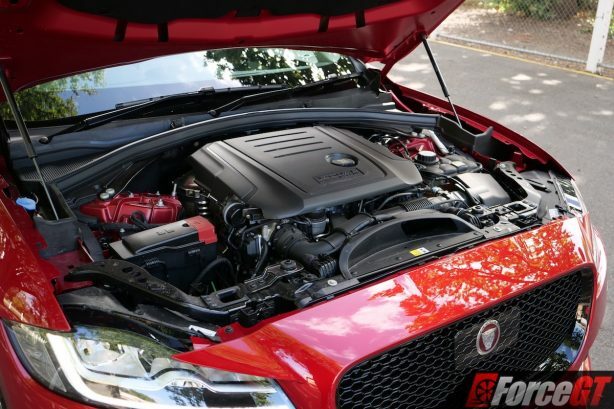 Under the bonnet of our 25d tester is a 2.0-litre twin-turbocharged four-cylinder diesel, which is part of the JLR Ingenium engine family. In this twin-turbo configuration it produces a very healthy 177kW and 500Nm, the latter of which is available from as low as 1,500rpm. 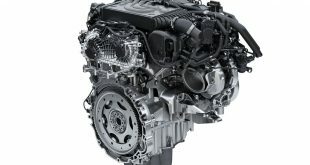 Backed by a ZF eight-speed automatic transmission, it sports all-wheel drive as standard. In this configuration, the F-Pace is able to get from 0-100km/h in 7.2 seconds – a decent time that rivals that of many warm hatches. 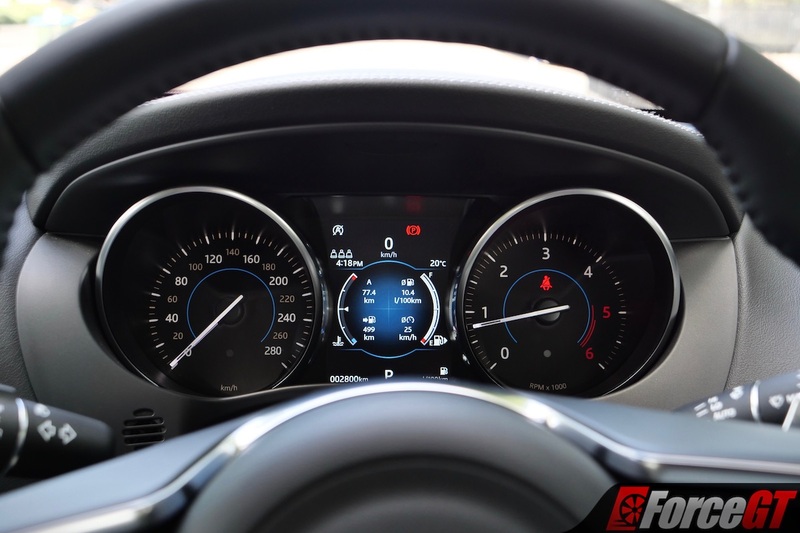 Fuel consumption is pegged at 6.8L/100km, and we saw an indicated 8.3L/100km over the course of 700km of mixed driving. In R-Sport models like our tester, a less-powerful 132kW single-turbo version of this engine is also available too with rear or all-wheel drive, along with a more-powerful 3.0-litre twin-turbo V6 oiler. A 2.0-litre turbocharged petrol is also available, in both 184kW and 221kW states of tune. We’ve previously given our thoughts on the less-powerful petrol version, the 25t R-Sport, which you can read here. The F-Pace’s greatest trait has always been the way it drives, and it continues to impress three years on in 25d R-Sport specification. 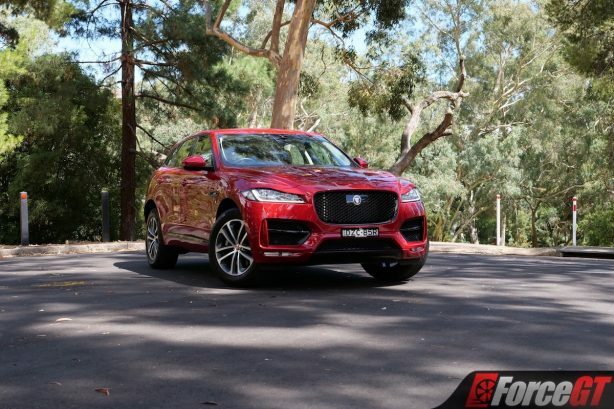 One of Jaguar’s main focuses since reinventing its brand image in the late noughties has been distinctly on handling, and the F-Pace is a perfect example of just how good Jag’s engineering team is. It’s easy to forget you’re behind the wheel of a 1.9-tonne SUV when you’re really pedalling it, as the F-Pace handles shockingly well. 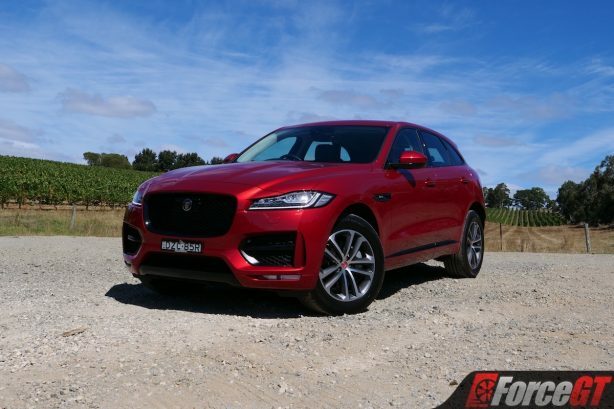 Its steering is heavy and direct, it remains flat and balanced through the bends, and with standard all-wheel drive for all 25d variants, there’s never a lack of traction to be felt on the road, and it’s not bad on loose gravel roads either. The twin-turbo four-pot diesel fitted to our tester is one of the best choices in the range, as it’s priced fairly but serves up plenty of power. 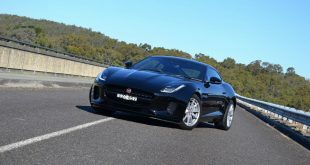 It pulls hard throughout the whole rev range, as the initial turbo helps it deliver plenty of low-down torque while the second kicks in at around 3,000rpm to keep it breathing easily in its upper reaches. 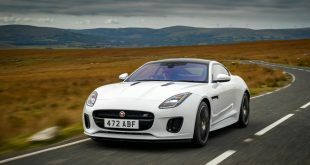 The eight-speed transmission it’s coupled with is a perfect pairing, offering an evenly-spaced set of ratios and incredibly quick and crisp gear changes, especially when using the steering wheel-mounted paddles, although left to its own devices, its shift programming is fairly predictable. What is most likely to be divisive is its ride quality, which errs on the side of firm to keep it in check through the bends. While its worth it being a little firmer in that regard, it can be a tad busy over poorly-maintained city streets and country roads, although it’s not what you’d call uncomfortable. And that’s one area where it does set itself apart from the closely-related Range Rover Velar. 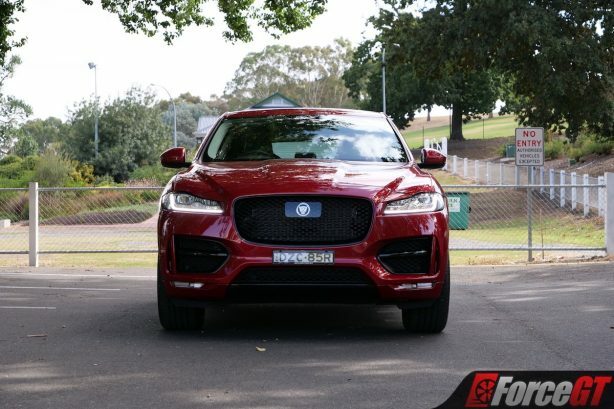 Where the Velar, particularly with the optional air suspension, is a plush and smooth riding thing, the F-Pace is meant to feel sportier and more aggressive. 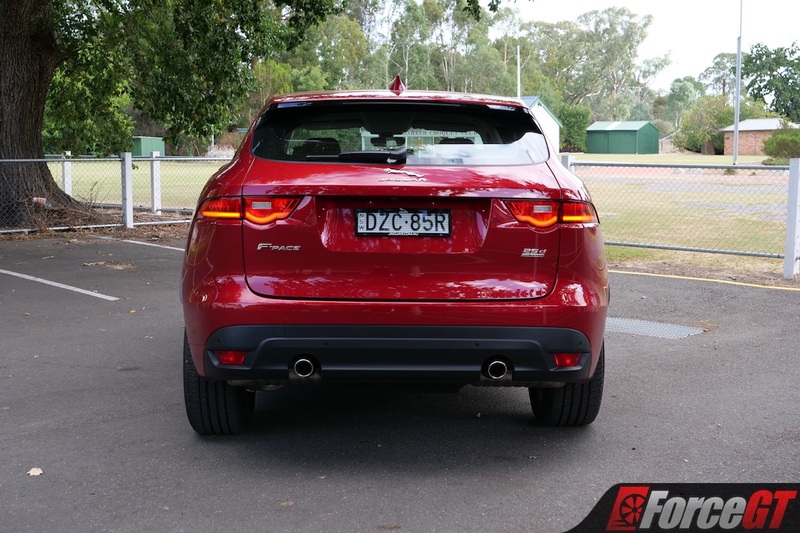 And even though the mechanical links between the two make them seem to be direct rivals, the character each exudes is distinctly different, and it’s clear that the F-Pace’s charm is that of a very sporty and confident driver’s car – but one with a massive boot. 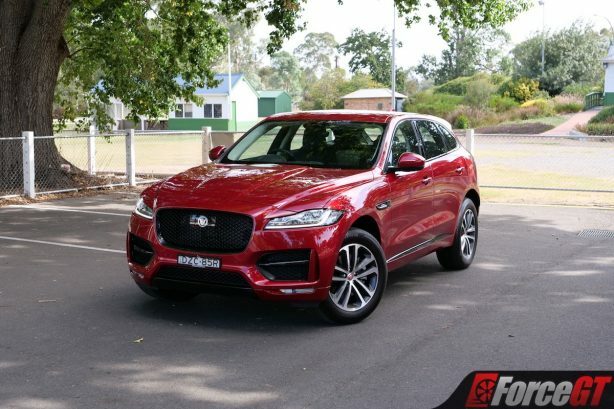 While the F-Pace may suffer around town to a degree due to its firm ride, there’s no doubt that its one of the best-handing SUVs on the market. Paired with the right engine, it’s got plenty of performance and the chassis to handle it, and it’s a real joy to drive. Although we may have our reservations regarding the interior quality and the insane cost of some options, we’re still incredibly taken by its looks and we have no bones to pick with how practical it is either. If a dull and removed driving experience is more your cup of tea, you may want to look elsewhere, but why would you want that anyway? This big cat is a great driver’s car – if surprisingly so.